Now it is easy to book classified ads in New Indian Express Newspaper through Online booking process. You just need to follow few simple steps process to get your ad published in New Indian Express Newspaper. There are various options available to advertise in New Indian Express. The major one are Classified Text Ad, Classified Display Ads and Display Ads. You need to understand the difference between this three before choosing the option. Once you understand and choose the right option and complete the ad booking. Go to New Indian Express Ad Booking Page. Check out editions list with Ad Rates mentioned for New Indian Express Newspaper. You can select individual edition or available package for New Indian Express Newspaper. Finally, Review your ad booking for New Indian Express Newspaper and register yourself then pay online through Debit Cards, Credit Cards or Net Banking. After you successfully make payment you would receive a booking confirmation email from us. Post editorial review your ad would get published in New Indian Express Newspaper. New Indian express may be a leading English Daily newspaper in South India and based in Chennai. it was founded in 1932 as the Indian express, under the ownership of Chennai-based P. Varadarajulu Naidu. 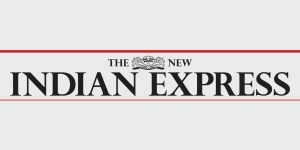 New Indian express is arguably the flagship publication incorporating national and international themes and sections on developmental issues, society, politics, literature, arts, cinema, travel, lifestyle, sports, business, finance, new-age living, self-development, and entertainment. 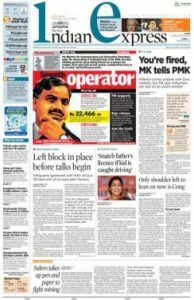 The New Indian express from 25 centers in Tamilnadu, Karnataka, Andhra Pradesh, Kerala, and Odisha. Kochi – (58,218 copies), Chennai – (46,920 copies), Coimbatore – (45,577 copies), Kozhikode – (30,315 copies), Bhubaneshwar – (28,710 copies), Bangalore – (27,554 copies), Thiruvananthapuram – (21,757 copies), Madurai – (21,548 copies), Trichy – (17,760 copies), Hyderabad – (13,580 copies), Vijayawada – (6,581 copies), Belgaum – (4,966 copies), Visakhapatnam – (4,414 copies), Shimoga – (2,041 copies).